﻿ M.A. Harrison Mfg. M.A. 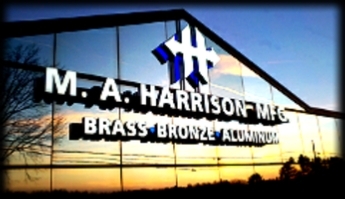 Harrison Mfg., Inc.
M.A. Harrison Manufacturing, Inc. delivers exactly what you want – quality precision machining to your exact specifications, competitive pricing, and on-time delivery. We've been doing that for over 75 years. We have many resources and can help with your manufacturing needs. Whether it’s a short run or high volume, M.A. Harrison Manufacturing, Inc. works for you.